Throughout my whole life, I have never really been one to shop the Boxing Day sales. I have always preferred to stay in or go out for the traditional Boxing Day walk as opposed to braving the hustle and bustle of the high street. Of course, now that we have the internet things are a lot more relaxed when it comes to shopping, that is of course if you can manage to get on the website in question; Boots I am looking at you. The last two years, however, have been a little bit different, I have shopped them and I have enjoyed it. To put it quite simply, you can find some fantastic bargains. I feel like I am stating the obvious, I mean hello! I guess I just never really explored them before, however, my new-found discovery is better late than never at the grand old age of 28. If I am honest, there wasn’t much that I really wanted to pick up this year, the only thing that was definitely on my list was perfume as I was running really low on the options I had. Therefore, this year I purposefully saved up all of my Boots points in order to get what I wanted in the sale and so that I did not feel too guilty about spending extra on myself after having already spent a small fortune prior to Christmas. 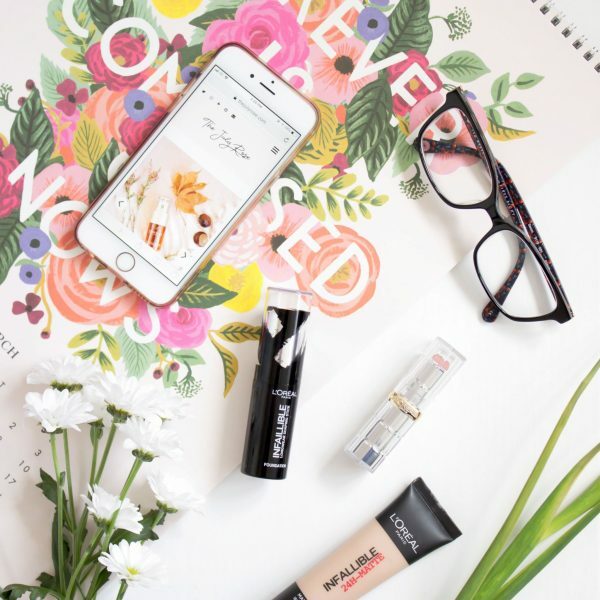 Boots was always going to be first on my hit list for obvious reasons and I am lucky in that there are a number of stores dotted around me which are easy to get to, although some were a lot better than others in terms of the stock they had. My poor local store was pretty much empty by Christmas Eve so I quickly made up my mind to avoid that one come to the sale. As I said before, I knew that I wanted perfume, however, it was worthwhile having a look around just to see what else there was still hanging around on the shelves. 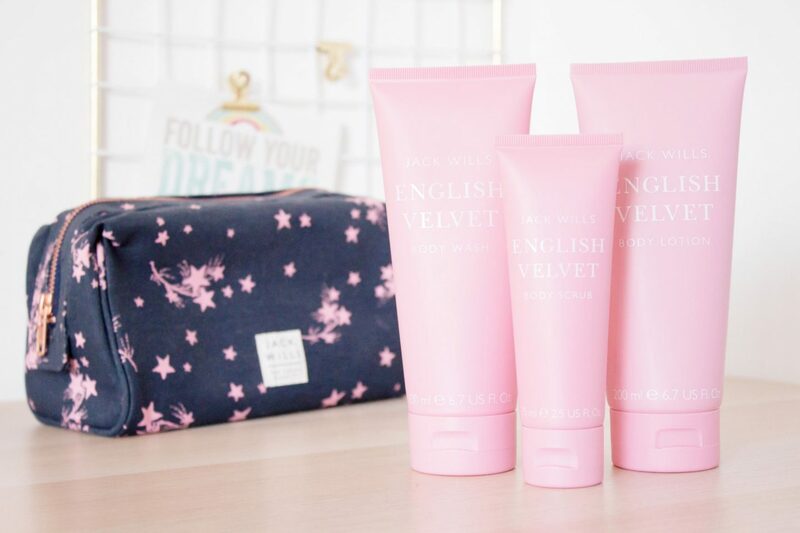 My first pick was the Jack Wills Travel Kit which was £20.00, reduced to £10.00 in the sale. Now, I generally do not go for things like this as I often find the contents inside to be a little bit redundant in the fact that I already have so many body lotions, gels etc. However, the reason I picked this up was for the bag and the bag alone. I have loved this design since I originally saw the line back in November when the products first started hitting the shelves, therefore I really wanted to try and pick this up. I tend to go away every now and then and have found that my current wash bag is looking a bit sorry for itself, this will be the perfect replacement. The products inside look really nice to be fair and will obviously come in handy; I also like the pink packaging. 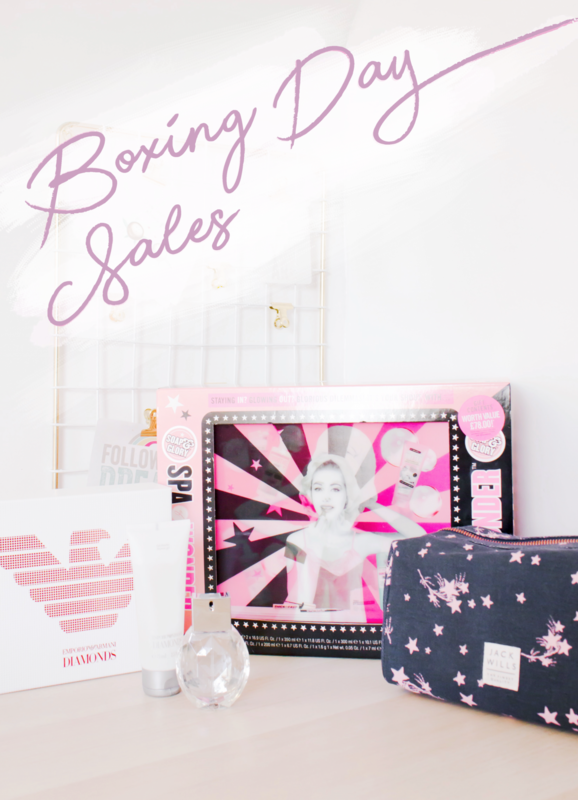 I also, after much deliberation decided to pick up the Soap and Glory Spa of Wonder Set which is their annual star gift, full to the brim of some of their best selling products. I wasn’t going to get this, however, you get so much good stuff for just £30. I am a huge fan of the Supercat Liner and the Thick and Fast Mascara as well as the Righteous Butter. Everything else is just an added bonus. I would have picked this up before Christmas, however for some reason I thought that Heel Genius was included this year which I have to say I do not like at all, that was the only reason I didn’t pick it up. That serves me right for not looking properly as that product is not included, therefore I will use everything this time around. 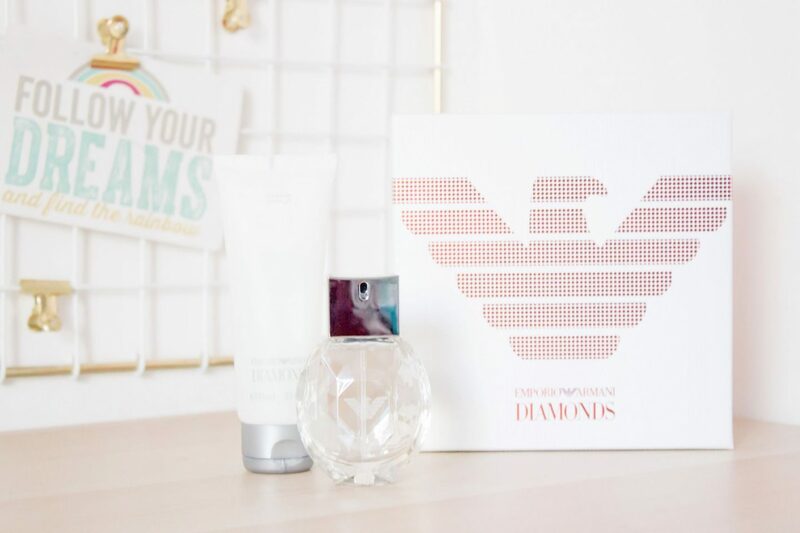 The first fragrance I decided to pick up was the Emporio Armani Diamonds gift set which was down from £40,00 to £26.66. I actually got this with the gift card I had from my Nan and Grandad for Christmas which I was really grateful to receive. A colleague who I used to work with always wore this and it smelt beautiful, this is the main reason I wanted to pick it up and for such a good price I could hardly refuse. The only thing I wish I had done was to pick up the other gift set that was within this range as that came with two perfumes, one 50ml and a travel spray at 15ml. That was more money which I wanted to bear in mind, so in hindsight, I am happy with my choice. As I may have mentioned, perfume was on my list this year so this post is very heavy with fragrance. 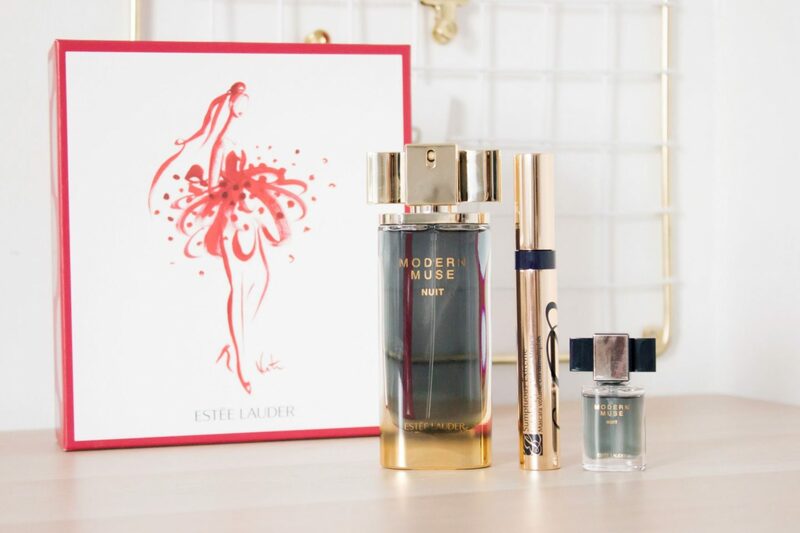 The second fragrance I headed for was the Estee Lauder Modern Muse Nuit which I have wanted ever since its release. I love this so much as it is quite a heavy, winter scent which is obviously perfect for this time of year. Having only tried the original Modern Muse in store this is a much more darker scent (if a scent can be darker) than that, I would opt for this when going out for an evening as opposed to daytime wear. Speaking of the original Modern Muse (not photographed), I also picked that up for my mum in the sale as a little treat. I felt as though the gift sets for the original fragrance were not as good in terms of value, however, I was still pleased with it and my mum loved it! The Modern Muse Nuit gift set doesn’t appear to be selling out everywhere as fast as others, personally I love it so I am not sure why however you can still find this in Debenhams and Boots at the time of writing. It comes with a 50ml Eau de Parfum, a full size Sumptuous Extreme Lash Multiplying Volume Mascara and a mini 4ml purse spray. The next fragrance was again another which I had wanted (there is a running theme here). In the past, I have had a couple of Giorgio Armani fragrances and I have adored them, they have always worked really nicely on my skin. My favourite for a very long time was Giorgio Armani Black Code, long before I ever started blogging. This was actually one I hadn’t intended on picking up, despite wanting it. The main reason for this was because I had catered for what I did want and how much I was spending, however, on the day this was one of those spurs of the moment ‘just get it’ purchases; I do not regret it one little bit. 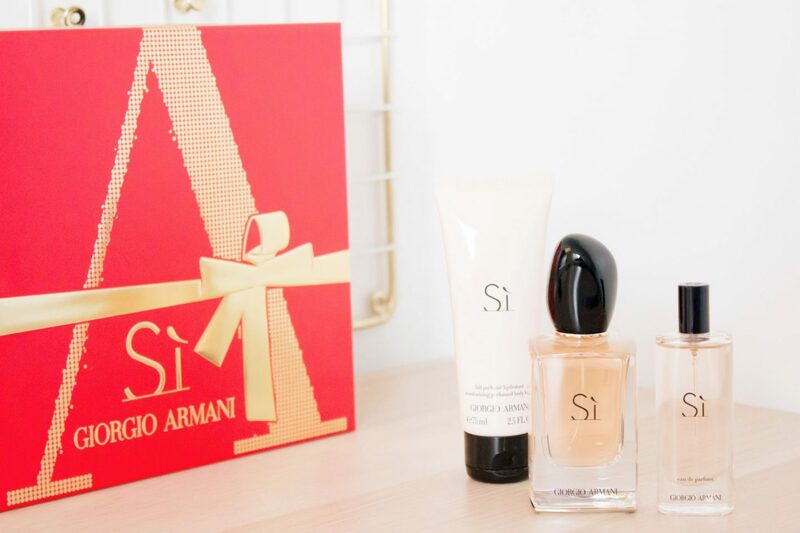 The Giorgio Armani Si gift set retails at £73.00 and was down to £48.66 which were still quite expensive, although I acknowledge that it is a fantastic saving as the perfume alone at 50ml is £73. Included within this set you receive the 50ml Eau de Parfum, 15ml Travel Purse Spray and body lotion. From what I can see this has sold out online on Boots, however, it is worth checking your local store as mine had quite a few of these still on the shelves as of yesterday. My final two purchases are extra special, they are perhaps the items which I have wanted to buy for what feels like forever. 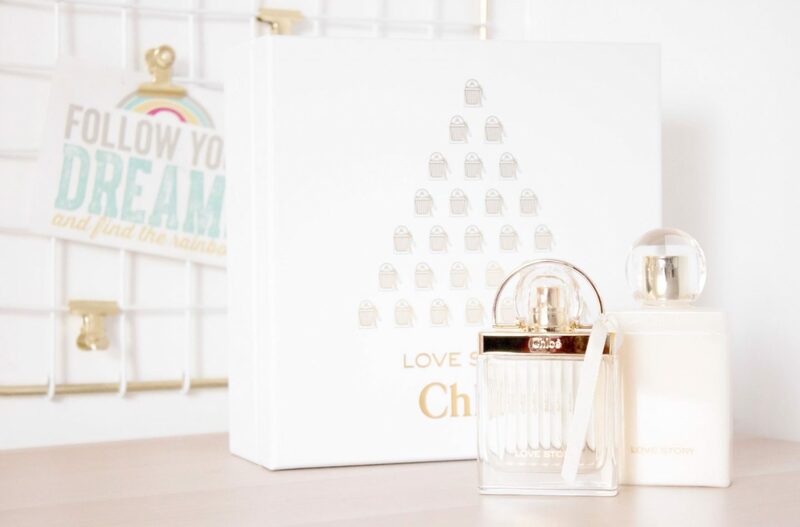 I remember when Chloe Love Story launched, I loved everything about it, it is such a delicate and pretty fragrance to look at and that is before you even try it. The Chloe Love Story gift set retails at £68.00 and was down to £45.32 in the sale. It comes with a 50ml Eau de Parfum and Body Lotion, this, in fact, sold out on Boots yesterday because I was watching it like a hawk, trying to decide whether to pick it up or not. Alas, it sold out and I drove 16 miles to specifically to buy this from the store. I think this was another great value set in the sale as to buy the fragrance alone it will set you back £68, therefore a great saving has been made on this one. The last item I picked up was in the form of a bag, not just any bag I might add. The Cambridge Satchel Company has been a brand that I have adored for a very, very long time. I love their designs and aesthetic and the fact that they make their products right here in the UK. I first saw the Cambridge Satchel Push Lock featured on Sophie Etc a while ago and have always come back to it. I was very torn between this design and the Poppy Bag, which I think looks beautiful, however, I am not too sure if I like where the straps attach to the handle on that specific design as I worry that any weight in the bag will cause stress on the very top. On a side note, if you own the Poppy Bag, please do let me know your thoughts on that as visually I think it looks beautiful and would like to own one. In the end, I decided to go with the Large Push Lock, the original design that I fell in love with. This retails at £100 and comes in an array of different colours, I picked the colour crimson as I wanted something bright for my wardrobe. In the sale, this was reduced to £60 and my student discount also worked. hurrah! Delivery was quite expensive at around £4, making the bag in total £58. I have to say that I am incredibly happy with my final sale purchase, I had wanted one of these bags for a good few years so it feels really nice and special to now finally now own one. What did you pick up in the sales this year? Do you shop online or do you brave the cold and the hustle and bustle?